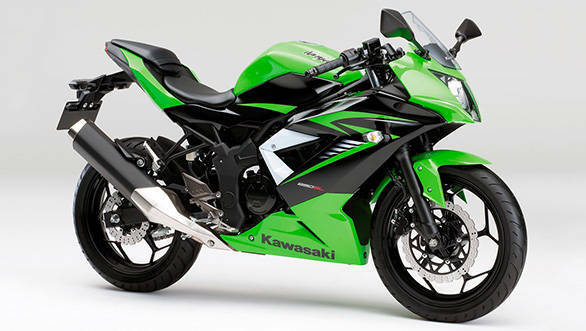 Kawasaki has unveiled two of its new single cylinder bikes at the 44th Tokyo Motor show - the Z250 SL and Ninja 250 SL. The Z250 SL is a naked street fighter, while the Ninja 250 SL wears a full fairing. Both the bikes get the same 249cc liquid-cooled fuel injection single-cylinder engine producing 28PS of power and 22.6Nm of torque mated to a 6-speed gearbox. 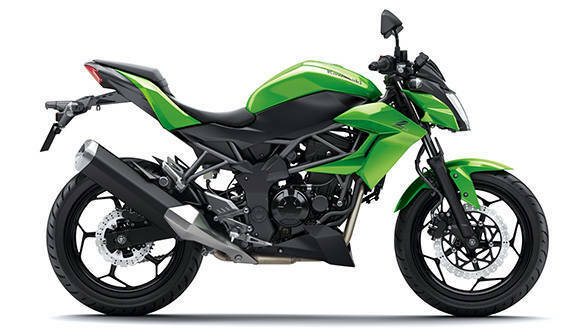 11-litre fuel tank and a length of 1935mm are common to both the bikes but the Ninja 250 SL is 15mm narrower and stands 60mm taller than the Z250 SL. The Z250 SL commands a ground clearance of 180mm while the Ninja 250 SL sits lower at 165mm. Both the bikes get telescopic front forks, rear monoshock suspension, split seat assembly and trellis frame, but the Z250 SL gets a flat one-piece handlebar as opposed to Ninja 250 SL's clip-ons. One of these bikes may make its way to India. If priced competitively, it could be a game changer for the company. If it is the Z250 SL, then it would compete with KTM's 390 Duke at a premium of Rs 20,000 to Rs 30,000 over the asking price for the Duke. It will most likely be manufactured in Thailand and follow the CKD route. For more stories on the 2015 Tokyo Motor Show, click here.